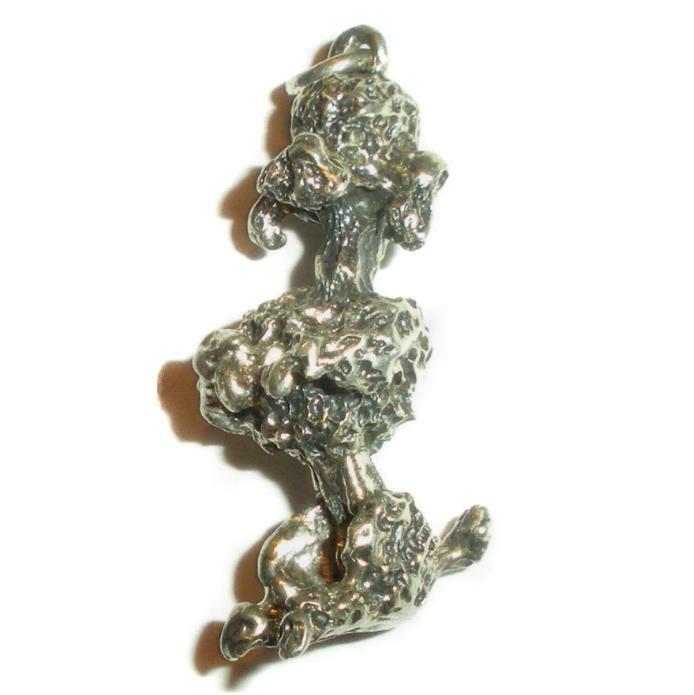 This is a large vintage Miguel Melendez hand crafted Mexican Sterling Silver dangle pendant or pin. 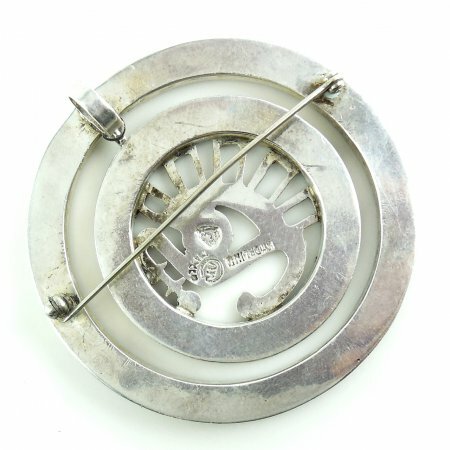 The center medallion moves and dangles freely within the larger pendant pin. It is thick, heavy and very well made by hand. Weight is 28.3 grams. Size is 2 1/8″ across. Depth is 1/8″ on the edge. 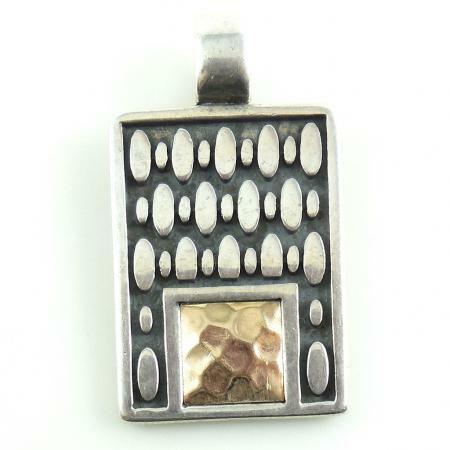 This pendant also has a large thick 6mm bale so it can also be used as an enhancer for small beaded necklace. In excellent, gently used condition this is a showy hand crafted Mexican pendant pin by a well known maker for your collection. This is a large signed Miguel Melendez vintage hand crafted Mexican Sterling Silver and azureite malachite dangle pendant or pin. It has 1950s Miguel maker marks, sterling marks. Additionally, Miguel older pieces from the 1950s included stone inlay work like this pin. Miguel Melendez apprenticed at Spratling’s Taller de las Delicias, in the early 1940’s he moved on to Los Castillo, and later worked for Margot de Taxco. All very well known listed mid century jewelry artists. 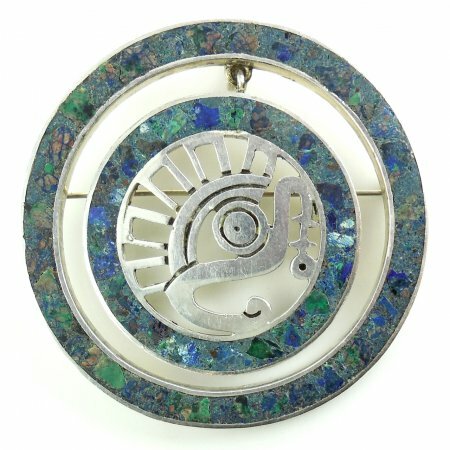 In this piece the center medallion moves and dangles freely within the larger pendant pin. It is thick, heavy and very well made by hand. Weight is 28.3 grams. Size is 2 1/8″ across. Depth is 1/8″ on the edge. This pendant also has a large thick 6mm bale so it can also be used as an enhancer for a beaded necklace as well as a thick, larger chain. In excellent, gently used condition being completely original and having no dents, missing stone, or repair or alteration this is a gorgeous, showy, hand crafted Mexican pendant pin by a well known maker for your collection. 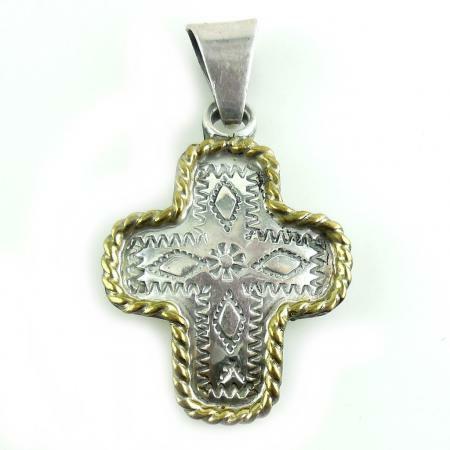 This is a fine quality hand made Southwestern sterling silver cross pendant with brass trim. Marked 925. It has a thick twisted brass raised edge and deep fancy engraved work throughout. It is also curved outward in the center. Very well made with thick, quality sterling silver. Size is 1 5/8" tall with the bale and just about 1" across the arms. Weight is 5.5 grams. No damage. Excellent condition. It has a large wide bale. Just add any chain or beaded necklace up to 4mm and you will have a beautiful showy Southwestern cross necklace. Mid Century Casa Maya Shop Signed MAYA, Mexico Handmade Mixed Metals Brass and Copper Enameled pendant pin. Well made with a beautiful hand punched design. 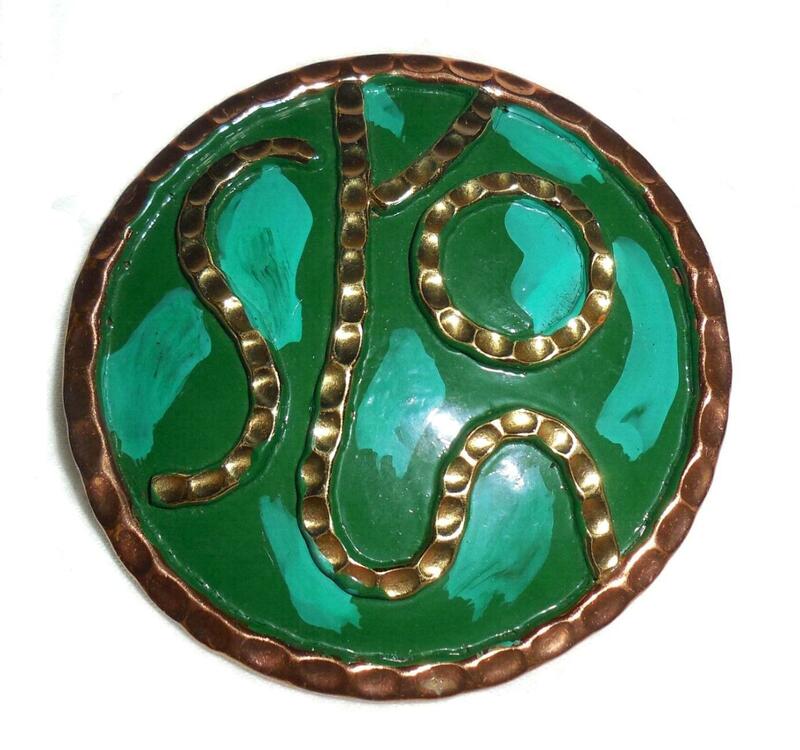 Composed of mixed metals with bright turquoise and forest green hand enamel work. Like most Mid Century Mayan jewelry with a hammered Aztec flare this is big, colorful and beautifully made by hand. Size is large at 2 5/16″ across. Condition: Excellent, gently used. No damage. No repair. All original enameling intact. All hand punch work is still crisp. Locking safety clasp is strong and secure. Bail is also strong and secure. Just add a chain for a gorgeous showy Maya necklace or use as a pin.